Log in here to view your orders and quick & easy checkout. ANY EXPERIENCED SHOOTING ENTHUSIAST KNOWS THAT STEADY SHOTS ARE ACCURATE SHOTS AND GROUPS CAN BE IMPROVED SIMPLY BY IMPROVING SHOOTING COMFORT. THE CALDWELL DEADSHOT REAR BAG OFFERS JUST THAT, ALLOWING YOU TO REST THE STOCK OF YOUR RIFLE FOR STEADY, CONSISTENT AND ACCURATE SHOTS. DESIGNED SPECIFICALLY FOR SHOOTERS, THE CALDWELL REST OFFERS ALL THE SUPPORT YOUR RIFLE STOCK NEEDS. SAND FILLED AND READY TO GO. 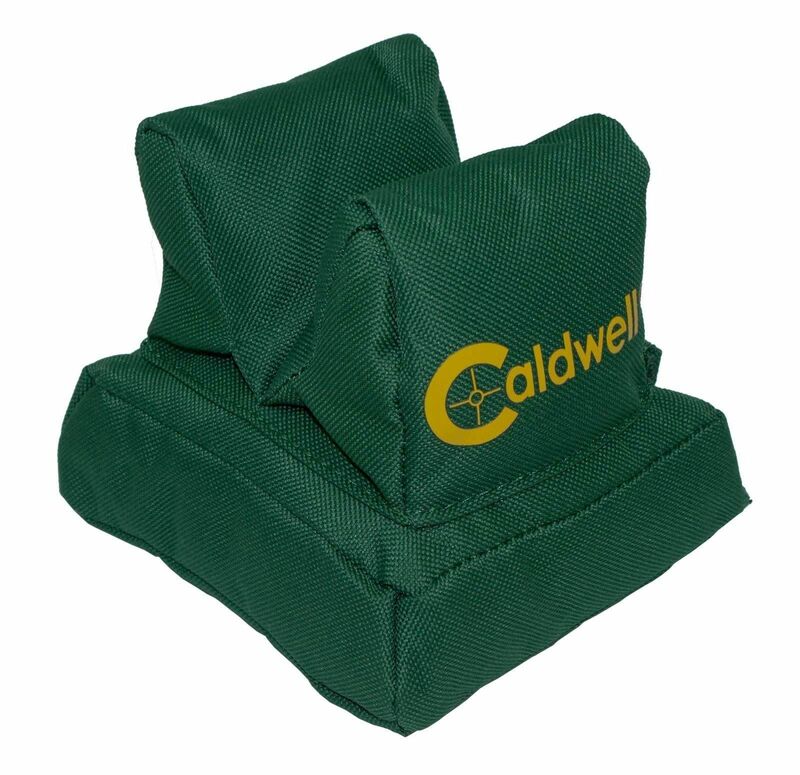 UNLIKE MANY OTHER RESTS THIS BAG COMES SAND FILLED AND DESIGNED TO ENABLE YOU TO TOP IT UP. WATER RESISTANT FOR ALL OUTDOOR WEATHERS.